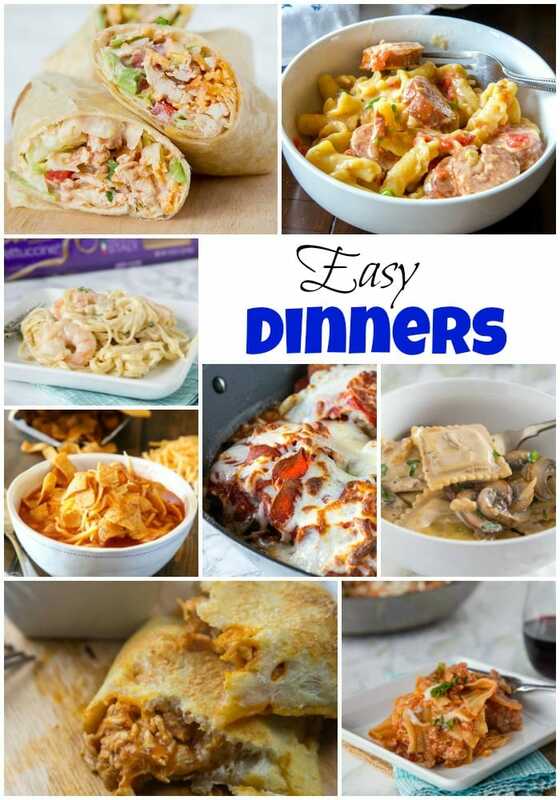 Easy Dinners – get dinner on the table without much work with these Easy Dinners. The whole family will be happy and you can skip the take out. I am all about having dinner together around the table as a family as often as possible. Schedules are hectic, so I realize it doesn’t always happen. But most nights with a little planning it is possible! 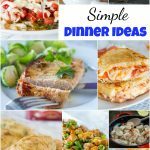 With this like simple dinner ideas, you know you don’t have a lot of prep and can make a meal fast. 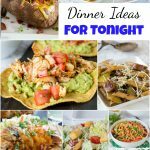 These easy dinners are perfect for those busy nights. You don’t have a lot of prep, lots of them are made in just one pan, and some you can even make ahead. Ordering take out or stopping through drive through takes just about the same amount of time in a lot of cases. I would much rather have something homemade, especially when the work isn’t much more. 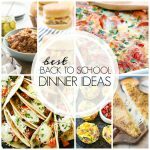 Check out this list of easy dinners and plan your week. Trust me with a little planning you really can get dinner on the table, even on those crazy nights. 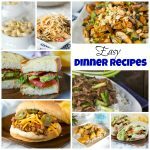 Easy Dinners - get dinner on the table without much work with these Easy Dinners. The whole family will be happy and you can skip the take out. Get all the flavor of Beef Stroganoff in this easy skillet meal. 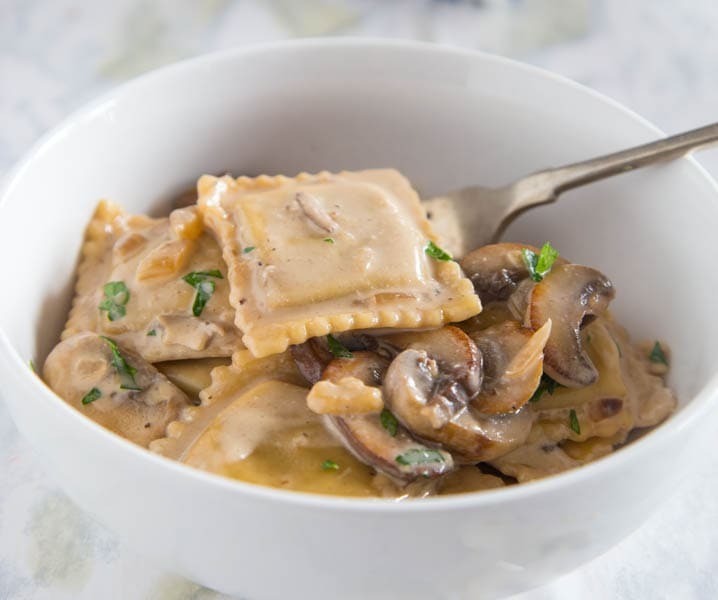 Beef ravioli makes it budget friendly and means it is ready super fast. 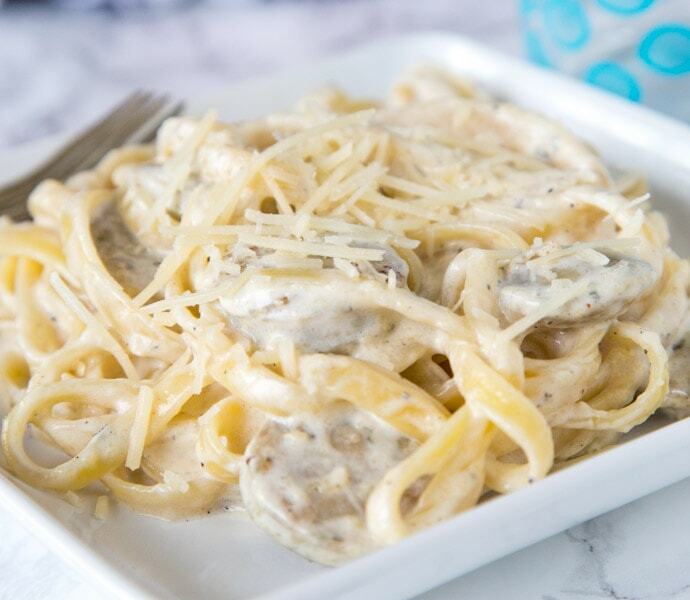 Fettuccine Alfredo with Chicken Sausage - thick and creamy fettuccine alfredo made quick and easy with roasted garlic chicken sausage. 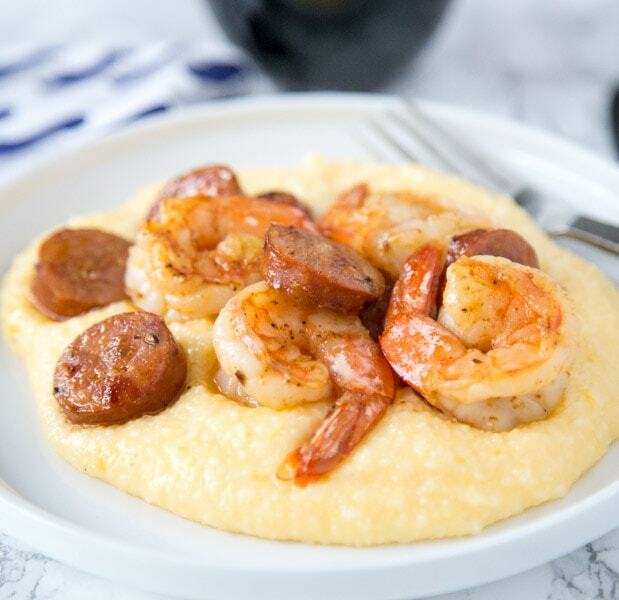 Shrimp and Grits Recipe - this easy shrimp and grits is ready in minutes and is perfect for busy weeknights. 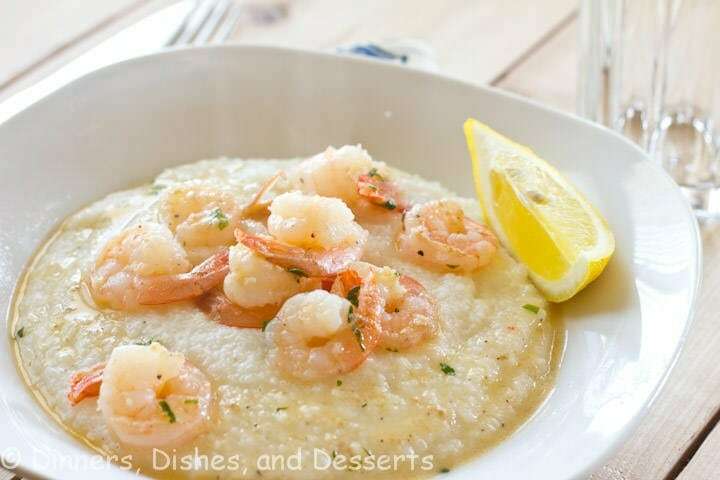 Cheesy grits take it over the top, the whole family is going to love it! 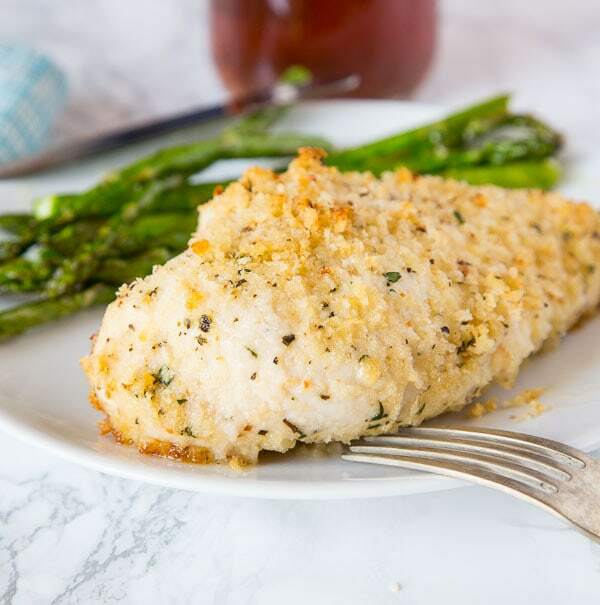 Crispy oven baked chicken coated with plenty of garlic. 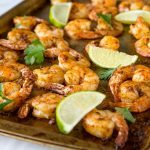 Ready in minutes and the whole family will love it! 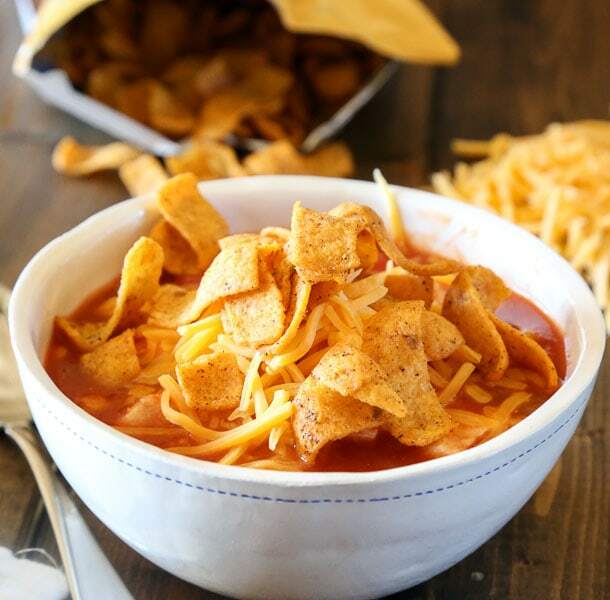 Chicken Enchilada Chili - a favorite mexican dinner gets turned into a 20 minute warm and comforting chili! Great for any night of the week. 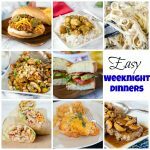 Home » Easy Dinners SEPTEMBER 23, 2018 (EDIT)EASY DINNERS This post may contain affiliate links. Please see my disclosure policy. 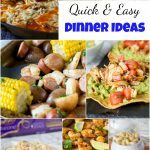 Pin Tweet Share Easy Dinners – get dinner on the table without much work with these Easy Dinners. 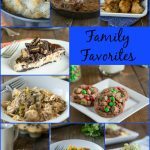 The whole family will be happy and you can skip the take out.I am all about having dinner together around the table as a family as often as possible. Schedules are hectic, so I realize it doesn’t always happen. But most nights with a little planning it is possible! With this like simple dinner ideas, you know you don’t have a lot of prep and can make a meal fast.Advertisement: Your video will begin shortly. 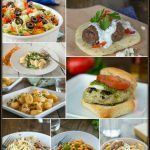 : 0:00X Report this adThese easy dinners are perfect for those busy nights. You don’t have a lot of prep, lots of them are made in just one pan, and some you can even make ahead. Ordering take out or stopping through drive through takes just about the same amount of time in a lot of cases. 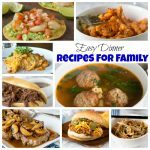 I would much rather have something homemade, especially when the work isn’t much more.Easy Dinners - get dinner on the table without much work with these Easy Dinners. 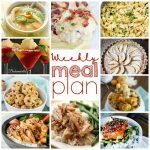 The whole family will be happy and you can skip the take out.Report this ad Check out this list of easy dinners and plan your week. Trust me with a little planning you really can get dinner on the table, even on those crazy nights.Skillet Beef StroganoffGet all the flavor of Beef Stroganoff in this easy skillet meal. Beef ravioli makes it budget friendly and means it is ready super fast.This beef stroganoff ravioli skillet is a quick and easy weeknight meal. 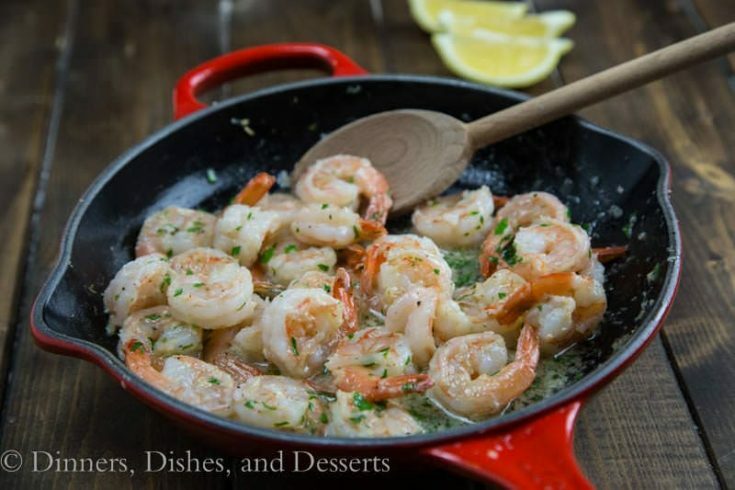 All you need is one pan and 20 minutes!Report this ad One Pan Shrimp AlfredoA simple fettuccine Alfredo recipe made in one pan. 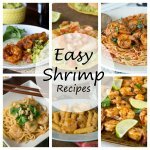 Add shrimp to have a romantic and easy meal you can enjoy any night of the week.Report this ad Make this Fettuccine Alfredo with Shrimp for your next date night in!Garlic Baked ChickenCrispy oven baked chicken coated with plenty of garlic. Ready in minutes and the whole family will love it!Garlic Baked ChickenReport this ad Chicken Enchilada ChiliA favorite Mexican dinner gets turned into a 20 minute warm and comforting chili! 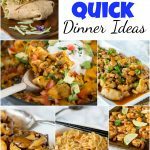 Great for any night of the week.Chicken Enchilada Chili - a favorite mexican dinner gets turned into a 20 minute warm and comforting chili! 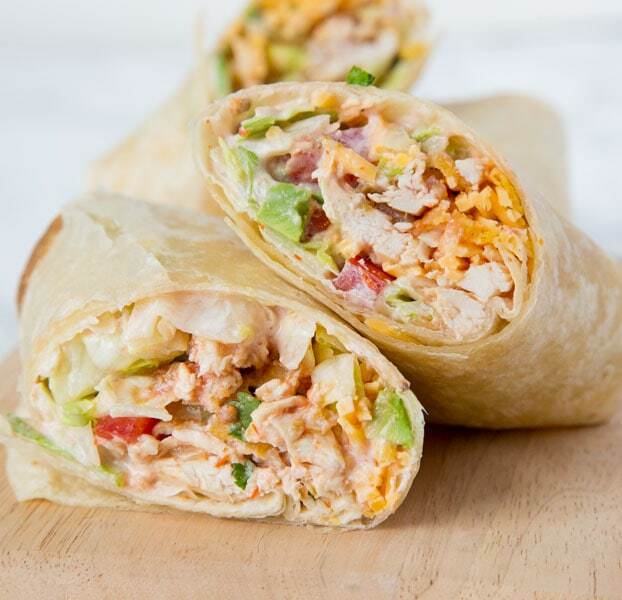 Great for any night of the week.Report this ad Crunchy Southwestern Chicken WrapEasy lunch ideas are hard to come by. These chicken wraps come together in minutes, you can make them ahead, and the creamy spicy sauce makes them extra tasty! 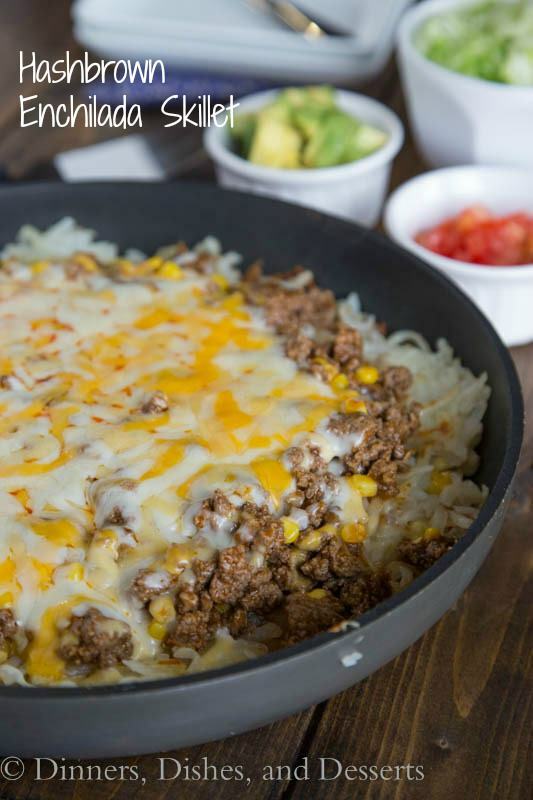 Crispy hashbrowns topped with Mexican ground beef and melty cheese. 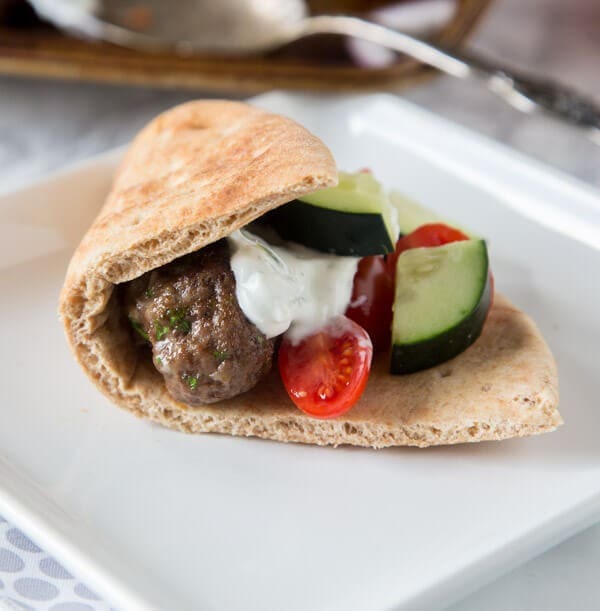 Quick and easy weeknight dinner. 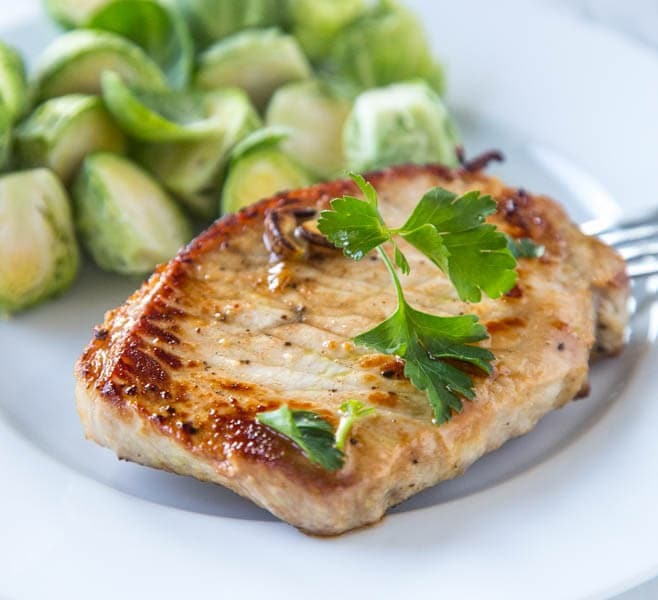 Lemon Garlic Pork Chops - Thick pork chops marinated in lemon and garlic, and then seared to perfection. Lots of flavor, and super juicy pork chops in minutes! 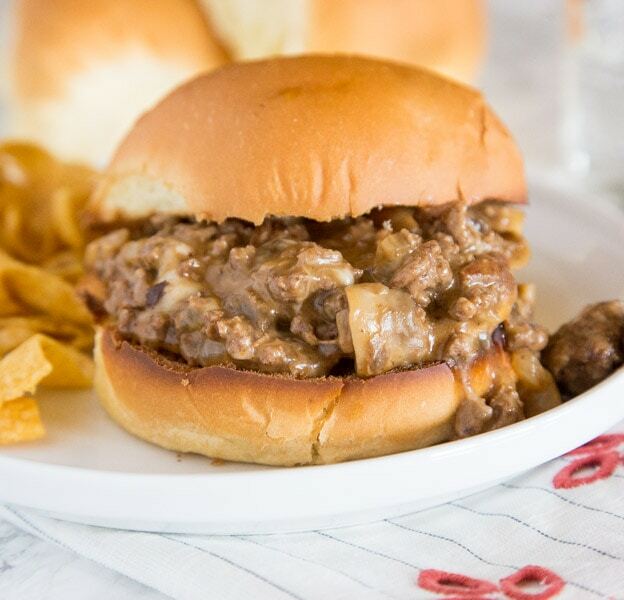 Philly Cheesesteaks as a Sloppy Joe! 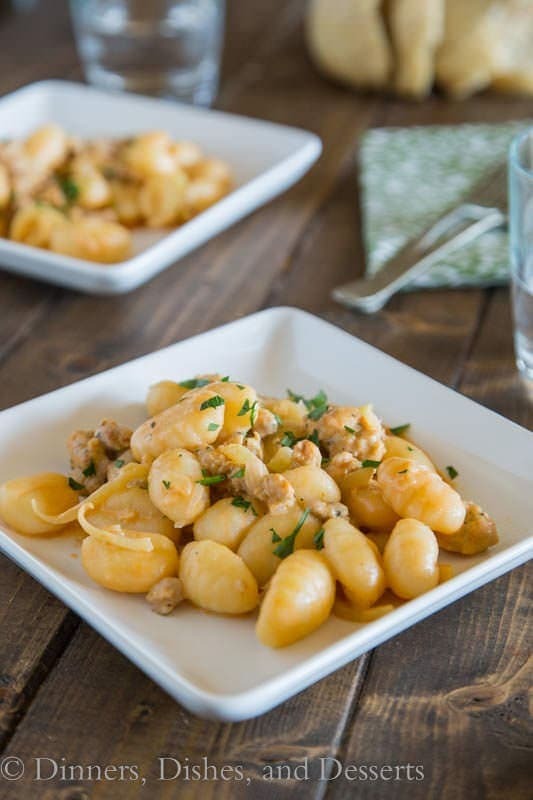 Gnocchi with Fennel & Sausage - a quick and easy dinner that is perfect for any weeknight. Chicken sausage and fennel are tossed with gnocchi in a light and creamy tomato sauce. 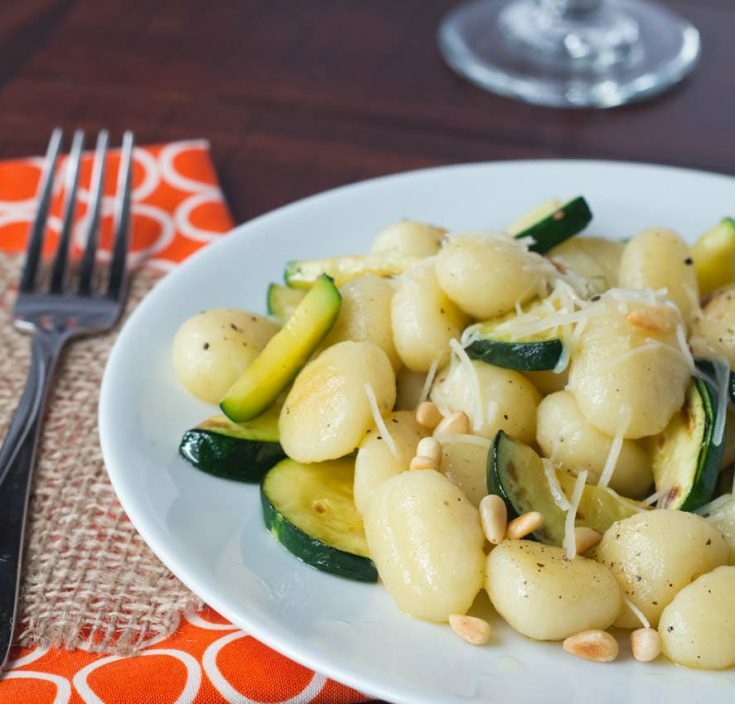 Chewy gnocchi tossed with a nutty brown butter and zucchini. Comes together in 20 minutes for a quick weeknight meal. Taco Pasta Skillet - All the flavors of taco night in a one pan meal, ready in 20 minutes! 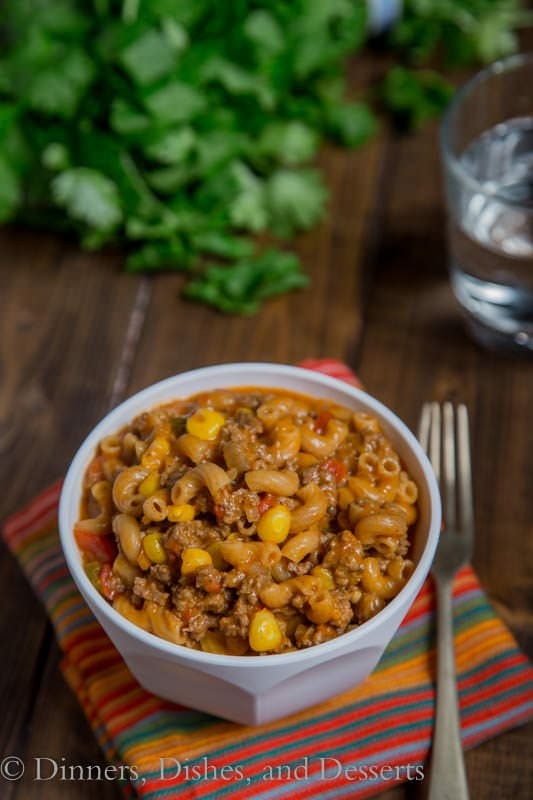 Homemade version of taco Hamburger Helper, with just a few staple ingredients. 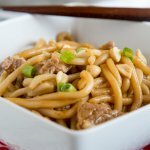 Sausage Pasta Skillet is a quick and easy one pot meal the whole family will love. 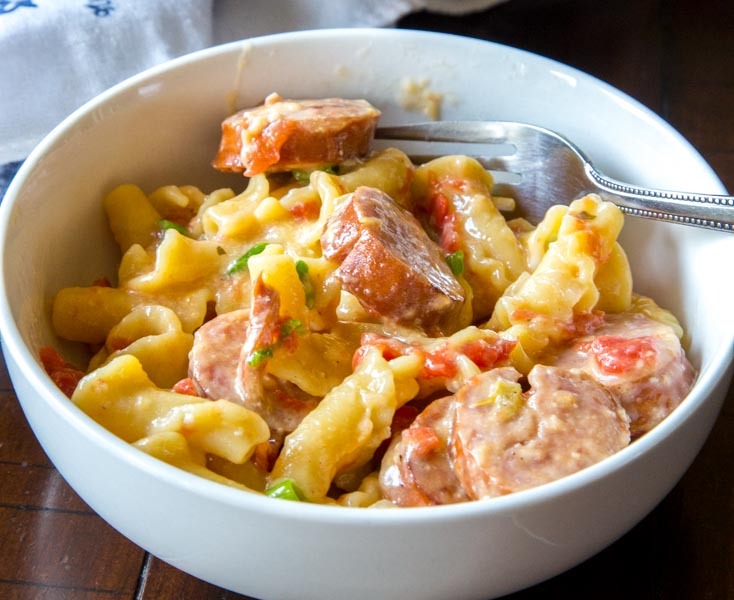 Creamy, cheesy, sausage pasta dinner. 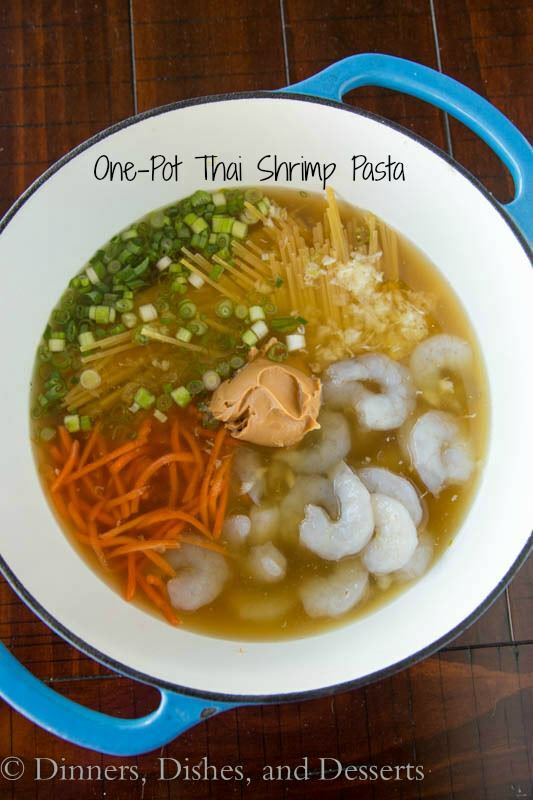 Creamy Thai shrimp pasta all cooked in one pot. 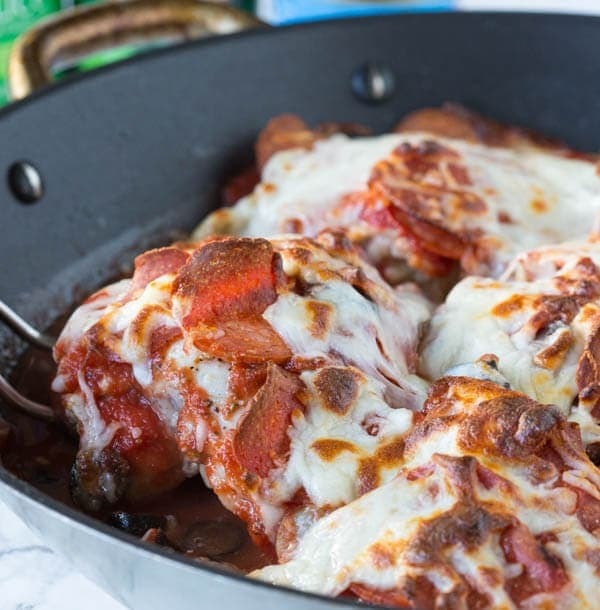 One Pan Pizza Chicken - get all the flavor of pizza in a one pan chicken dinner! 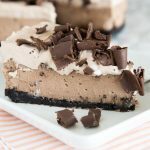 Super easy recipe to get you through those tough weeknights. 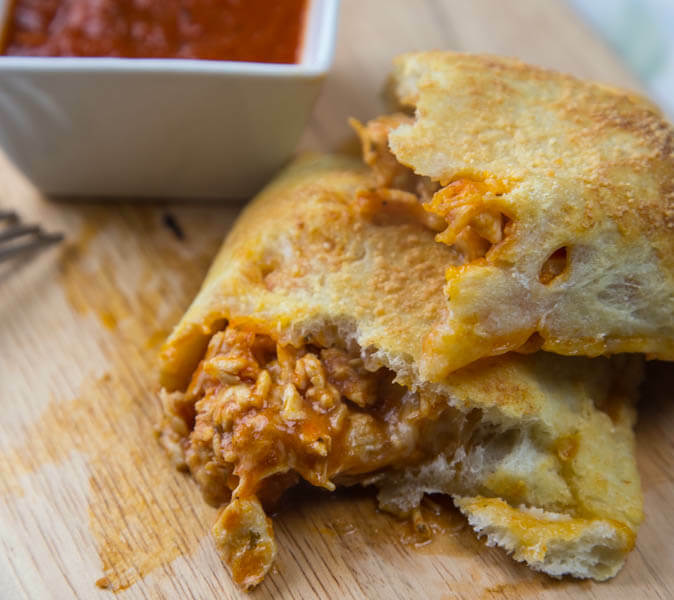 Just 5 ingredients until you have all the flavors of chicken Parmesan, but in a hand held calzone on a weeknight! 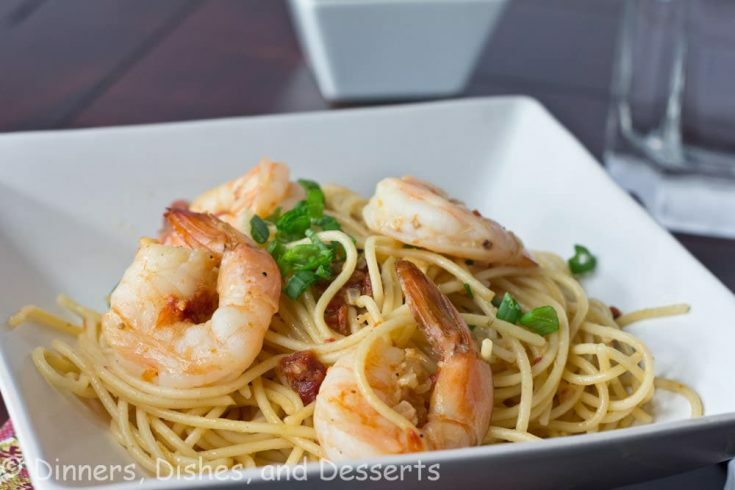 Speedy Shrimp Pasta - Plump and juicy shrimp sauteed in olive oil, garlic, and onions. Tossed with pasta for a quick and easy dinner.